Singapore’s theatre scene is on the rise, and you don’t want to miss the chance to catch the latest new plays by our emerging and undiscovered writing talents. 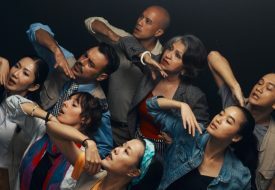 There’s no better place to do so than at the Singapore Theatre Festival, which continues to be the only festival in Singapore dedicated to developing and producing new local works. The eight plays featured this year include some names that have caught our attention. Making his Festival debut for “Press Gang” is former Straits Times journalist and one of Singapore’s sharpest political commentators, Tan Tarn How. His satirical political thriller takes us inside the complex workings of a Singapore newsroom and asks questions whether the press is truly free. We’re also eager to see Thomas Lim’s return to the Festival, where his first play “Grandmother Tongue” was performed to full houses in 2016. 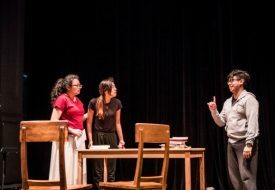 With “Supervision,” Lim continues to explore contemporary issues in the family with humour, this time focusing on domestic workers’ rights to privacy at home. Also returning to the stage is Alfian Sa’at’s popular “An Actress Prepares,” which was specially commissioned for a one-day performance by the Singapore Writers Festival in 2016. Siti Khalijah Zainal, well-known for taking on a challenging variety of roles, will be playing herself as she shares with us about her journey as an actress. 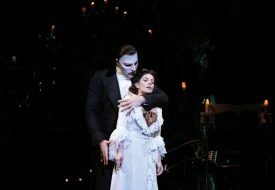 For its return, the play will also be exploring other issues they didn’t get to the last time. Catch “Press Gang” and “Supervision” from today to 15 July, while “An Actress Prepares” will be playing from 19 to 22 July. For more information and the full lineup of the festival, click here. All performances and fringe events will be held at LASALLE College of the Arts, located at 1 McNally Street, Singapore 187940.